Are you looking for tanks, we have two tanks want to share with you, please pay attention to check it! 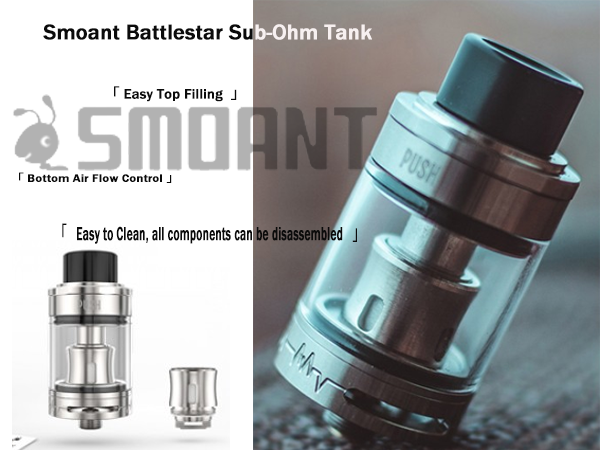 Smoant Battlestar Sub-Ohm Tank is 24.5mm tank with adjustable airflow control system and bottom air flow control, which provides smoother intake and flavor.Easy top filling will make it more convenient and clean! 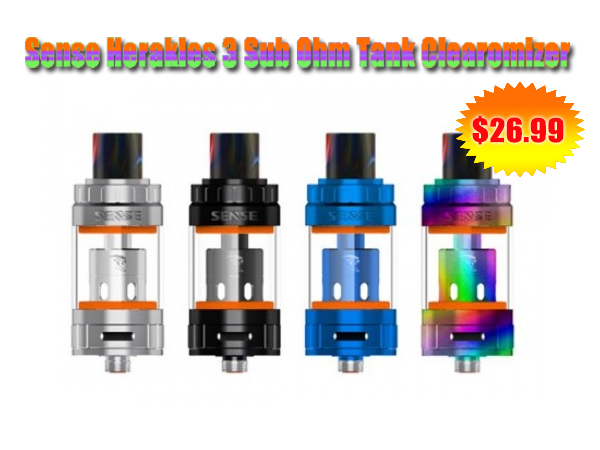 It is a 24mm tank with 4.5ml juice capacity. It is the upgraded version of legendary Herakles tank. The Herakles 3 features flip hinged top fill system and adjustable bottom airflow. It is compatible with V-Jet coils, with 0.2ohm, 0.4ohm and 0.6ohm resistance for your option.